Extreme couponing is not for everyone. To me that sounds like a lot of work. Plus do you really need 70 mustards? I know some people think extreme should be replaced with excessive. It appears that any couponer has a bad wrap now… depicted as being OCD with hoarding tendencies. Would you mind if your house was taken over by groceries? Extreme couponing requires space. If you’re going to buy multiples of different items you’re going to need a place to store them. Are you willing to have 4 Sunday newspapers delivered to your home? 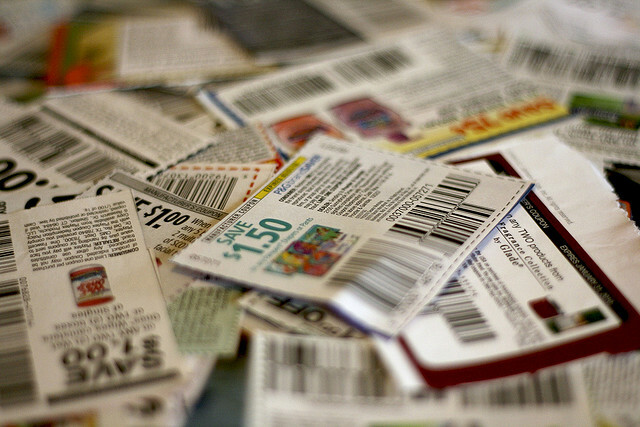 Don’t forget to include online printable coupons, grocery store coupons, manufacturer coupons, asking neighbors for coupons and then the daunting task of organizing them all. Are you willing to put in the time that is necessary to become an extreme couponer? When I sit down to put my meal plan together each week, clip coupons and go through the sales ads, I’ve spent anywhere from 2-3 hours. There is no denying it takes time. Extreme couponing will take an even huger time commitment every week. Not to mention the hours you spend in the grocery store. Do you like high fructose corn syrup, nitrates, artificial color and flavor? The majority of the stockpiling I see by extreme couponers is on processed food (the bad kind). In my opinion, all the money saved will go directly to doctor bills throughout the lifetime of an extreme couponer. Of course I love getting things for free and getting good deals. But taking every item off the shelf and not giving anyone else a chance to get the same great deal seems inconsiderate. I get that you can save an incredible amount on groceries and that is fantastic. I save an incredible amount too, I just don’t stockpile it in my garage. Next post: Are You a Working Mom Wanting to Become a Work at Home Mom?